Have you been thinking... “Where on earth has the year gone?”... That's because with our busy lives, time just seems to fly on by. By setting some financial goals for yourself, you can have a clearer idea of things you'd like to achieve in the new year. We've outlined some ideas that you might like to consider when reviewing your financial goals. Take some time to go over your current budget or put one together if you haven't already. This will help you to have a clear idea on your current financial situation and find out if you're spending too much in the wrong areas. You can then look ways to improve and save more money. Our free Budget Planner is the perfect tool to create an effective budget plan. Set up a direct debit into a separate high interest savings account to avoid unnecessary and emotional spending temptations. Alternatively if you have a mortgage, these savings may be better served by depositing them into your home loan or offset account. ING Direct's Savings Maximiser is a great product for those looking to maximise their savings. Making additional repayments to your home loan more frequently can make a huge impact on the amount you will repay over the term of your loan. For example, the repayments for a $400,000 loan with an interest rate of 4% over 30 years will be around $881 per fortnight. By making repayments of just $100 more per fortnight, the loan can be repaid in less than 25 years and save over $57,000 in interest. Moneysmart's Mortgage Calculator can show your how to repay your home loan sooner. ‘Good’ debt is used to purchase assets that are likely to earn income or increase in value over time - assets such as your house or an investment property. ‘Bad’ debt is used to buy goods that devalue, such as cars and TVs. Buying a home is a great achievement and can be a smart financial investment. Why not set a goal to plan your journey to home ownership or consider buying an investment property. Our free Home Buyer Planner Guide is a handy tool to help you get started and gain inspiration. There are only two ways to improve your financial situation – either earn more or spend less. If your budget is already cut to the minimum, think of some ways to increase your income without having a high impact on your lifestyle. Maybe you have items you no longer use that you can sell? 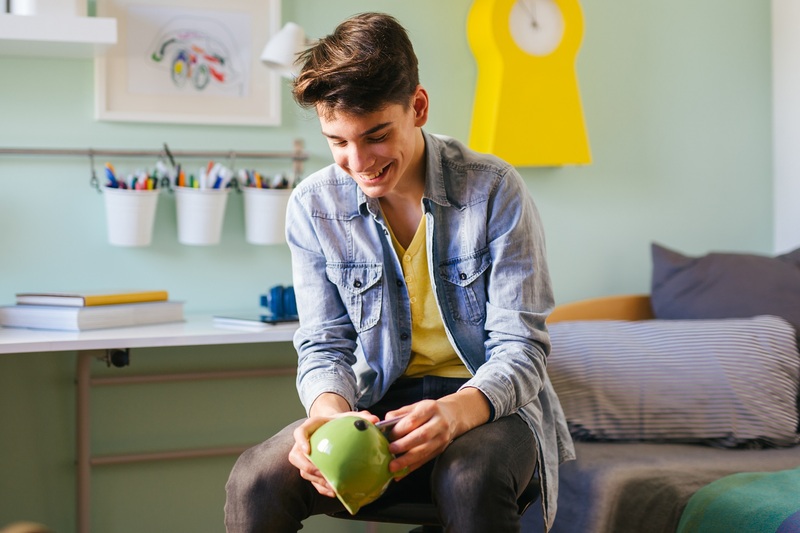 Are your children working and able to make rental payments? Do you have spare time available that you can dedicate to extra work? It’s never too early to start creating good money habits to help your kids with their financial future. By teaching your kids about money, they will be more likely to make smart financial decisions and understand the importance of saving. You may want to review your current superannuation and find out if you have any potential ‘lost’ super from previous employer contributions. If you have multiple super accounts, consider consolidating theminto one. Make sure your investment risk profile matches your current retirement timeline and consider speaking to a professional to help you. Do you have another financial goal in mind? We'd love to know what financial goal you have planned for the year. Contact us and let us know your plans! We may be able to help you or share your idea with others.